I was thinking about Hunting Buddies this past week as I shot the video on “Competing Voices” for WORD from the Woods. Do you remember near the end of the video where I speak about when you hear those competing voices you need someone alongside of you who can help you see God as refuge and strength, an ever-present help in times of trouble. That just might be where you need a hunting buddy. Have you ever wondered why you enjoy hang’n with your hunting buddies? All the weeks and months of preparation… scouting properties, cutting brush, plowing food plots, planting, putting out feeders, staging game cameras, setting stands and/or going to the gun range, and shooting sporting clays. It could be that your passion is fishing so it might be combing through thousands of lures and baits, cleaning tackle, putting rigs together for a weekend of throwing flies and tell’n lies. I know you never tell a lie… maybe stretch the truth a little. It happens..
Do you know why I believe we enjoy hanging with our hunting buddies? It’s more than just the great times we have in the woods or on the water. We were designed for community. I have no idea where you stand spiritually. I do; however, believe that God created you for community and the reason that hanging with your Hunting Buddies is what you enjoy and look forward to throughout the season and between seasons is due to the fact that you were created for this. Did you catch that…. God said from the beginning of time there has been community. He referred to it when He said, “Let us make humankind in our image, after our likeness”. God is revealing to us that He is “community” and therefore He has wired it up in us from before time. In later writings we see that God continues this thread of community throughout the Bible. Jesus walks in community for three years with 12 guys and even closer with 3 of those guys. He sends guys out in pairs. He refers to being with us when two or more are gathered in His name. He models for us an eternal principle that without Him in our lives we are just out taking a walk, alone. With Jesus in our lives we have the Ultimate Hunting Buddy. One that will not call us at 4:00 a.m. and say I just can’t make it to the woods today. Jesus is the one hunt’n buddy who will never let you down and will always be your refuge and your strength IF you will let Him in. SO, Where are you with Jesus? Where do you see Him working in your life? Have you potentially substituted earthy, human Hunting Buddies for where Jesus might want to be working in your life. Just something to think about. Earthy Hunting Buddies are great and you need persons in your life to walk with you as a spiritual partner…. 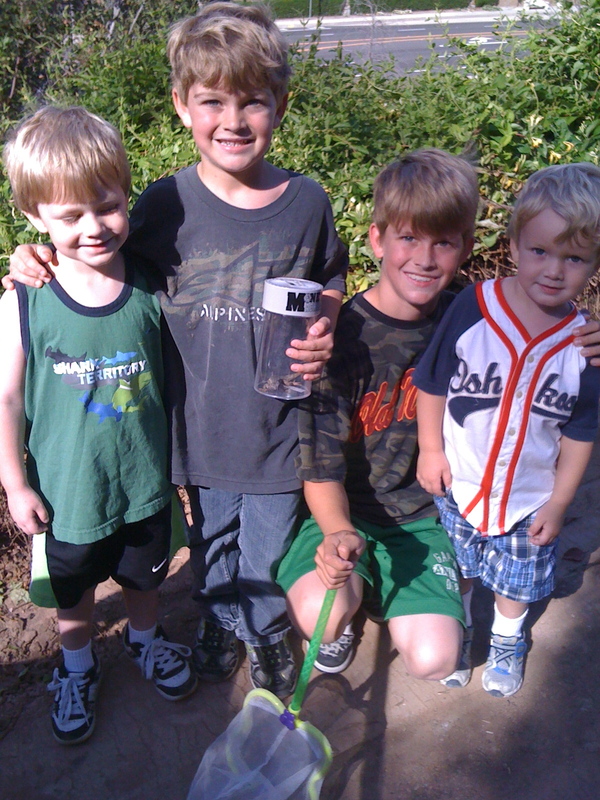 I have several guys in my life including my boys who teach me SO much about God’s love for me and the outdoors. Jesus; however, as your Eternal Hunting Buddy is SO much better. If I can be of any help in unpacking this personally, please let me know and I’ll do my best to walk through where Jesus is in your life.